Ekaterini Kolorizos holds a Bachelor’s degree in International Relations from the University of the Valley of Atemajac. 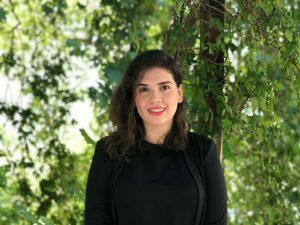 As part of her academic experience, she was an intern in the international area of the most important public cultural institution in Mexico: the National Institute of Fine Arts. Moreover, she had the opportunity to be a student co-representative of her university and was part of the Youth Council of the U.S Consulate General in Guadalajara for two years. Since 2014, she is a volunteer at a Rotary in Action club (Rotaract), one of the largest networks of young volunteers in the world.